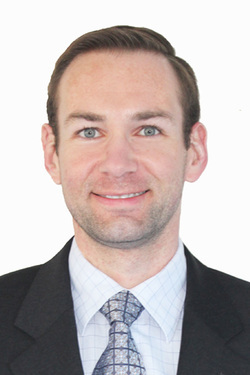 Dr. Jared Heathman grew up in Houston before attending Texas Christian University. He graduated from medical school at Texas Tech University Health Sciences Center and trained in child psychiatry and adult psychiatry at the University of Texas Medical Branch. While in his general residency training, he was awarded the Humanism & Excellence in Teaching Award. Dr. Heathman has presented lectures on post-concussion syndrome, childhood depression, psychopharmacology (medications), ADHD, and personality disorders. Dr. Heathman has special interests in anxiety, perinatal mood disorders, substance abuse, obsessive compulsive disorder (OCD) and adolescent depression. 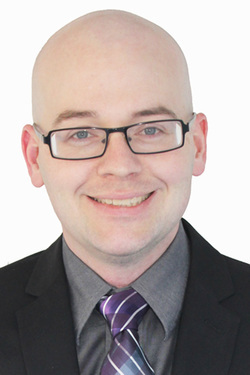 Dr. Matthew Hinthorn completed his residency and fellowship at the University of Texas Medical Branch where he was trained in child and adult psychiatry. His calm demeanor helps put children at ease. Dr. Hinthorn has presented lectures on ADHD and bipolar disorder. Dr. Hinthorn prides himself in being a child psychiatrist, and he has special interests in attention deficit hyperactivity disorder (ADHD), autism spectrum disorder, anxiety, and cognitive disorders. He is new to the northwest Houston area, but he expresses great enthusiasm in learning about the nearby suburbs including Katy, Cinco Ranch, Jersey Village, Spring, and the Woodlands. Ms. Melissa Shook, MA, LPCI, NCC completed her BS in Psychology and her MA in Clinical Mental Health Counseling at Sam Houston State University, north of Houston where she was raised. While pursuing her higher education, she served as an officer in the Psi Chi honor's society, volunteered to serve the community, and assisted with a research proposal of the differences between counseling treatments of Acceptance and Commitment Therapy and Cognitive Behavioral Therapy with adults displaying symptoms of depression. Ms. Shook has extensive experience in working with adolescents and adults on the autism spectrum, bipolar disorder, depression, anxiety, obsessive compulsive disorder, personality disorders, substance abuse, eating disorders, and working with clients overcoming grief and loss. She continues her work as a counselor with children, adolescents, adults, individuals, families, and couples on therapeutic goals of recovery. Her scope of practice includes utilization of techniques and practices from Cognitive Behavioral Therapy, Solution Focused Therapy, Adlerian Therapy, Motivational Interviewing, Substance Use Treatment, Structural Therapy with families, and psychoeducation with diagnoses of mental health disorders. Chelsea grew up in Spring, TX and attended Klein High School. She later graduated from Texas A&M in College Station with a B.S. in Bioenvironmental Science. While at Texas A&M, she met her husband James. Chelsea is the proud parent of an adorable cat named A.D.D. Chelsea is a huge fan of Aggie football. She attends most home games and makes an effort to attend an away game every year with her husband.